Rage is the highly anticipated postapocalyptic action game that's being developed by id Software, creator of Doom and Quake. This unusual game combines first-person shooter gameplay, racing, and exploration on a planet that was absolutely devastated by a falling meteor, but it wasn't always clear exactly how the game would work. Until now. We recently had an opportunity to visit id Software's new headquarters in Richardson, Texas, to see for ourselves not only how the game is coming along, but also how you'll progress over the course of the game. Please note: This story contains minor plot spoilers. Get more details on this unusual hybrid action game from the development team at id Software. The Electronic Entertainment Expo demonstration of Rage will consist of five portions of the game: "find buggy parts," an early-game mission; Mutant Bash TV (we've covered this section of the game previously and found it to be a life-or-death game show reminiscent of the classic arcade game Smash TV); Dead City (the mutant-filled city we've also visited previously, at last year's QuakeCon event); the Authority prison, an all-new area we decided to explore extensively in this session; and "Dusty 8 Rocket Race," a series of vehicle races. Since we've seen most of the other areas and have also seen how some of Rage's races work, we started with the early buggy mission to get a better sense of how the game begins and then spent most of our time playing through Dead City and the previously unrevealed Authority prison. We began our session in the spacious office theater of id's new offices, playing the Xbox 360 version of the game on a huge cinema-style screen (which we highly recommend as a way to play all games, if possible), with id creative director Tim Willits at our elbow to help walk us through the game (which we found to be more of a take-it-or-leave-it proposition). All kidding aside, the game's creative director helpfully pointed out that Rage will be structured around the wasteland--a sizable outdoor area that will provide many opportunities for exploration but will also serve to guide you toward specific indoor missions, which id refers to as "instances." Instances, Willits explained, will represent "more of the traditional id game experience," with plenty of directed, close-quarters combat--though as we'll explain later, Rage's gun battles aren't exactly the same as what you might expect from a Doom or a Quake game. In other words, throughout the game, while you'll usually have the freedom to putter around the wasteland, you'll generally always have somewhere specific to go on your to-do list. Rage apparently starts with a tutorial area that runs through the basics of the game's controls, as well as how to use a wingstick, one of the game's most basic, low-tech thrown weapons. As we've explained in our previous coverage, this crude-looking and unassuming sliver of scrap metal acts as a boomerang when thrown and will return to your hand if it has an unobstructed path back to you. However, against poorly armored humanoid enemies, such as bandits and weaker mutants, a well-armed wingstick toss can be an instantly lethal attack that cleanly decapitates its target. With a couple of these in our inventory, we were ready to get started playing the game--just as soon as we took a moment to familiarize ourselves with the console interface. Spend about three seconds poking around Rage's interface, and it'll become pretty obvious that this isn't just another arcade-style shooter that gives you 10 different guns and puts you on the hunt for health packs lying on the ground. Instead, pressing the select button (or back button, in the case of the Xbox 360 controller) opens up Rage's multi-page inventory screen, which includes all items your character has picked up sorted by their purpose (whether they be crafting components, usable items, or junk items you can sell for cash). If you have even the slightest interest in exploring environments and poking around, you'll pick up plenty of items as loot from fallen enemies, hidden valuables locked behind secure doors, or just remnants from before the world, as people knew it, came to an end. When we asked how much all this stuff would weigh down our character, Willits quipped, "I love [Elder Scrolls and Fallout 3 lead producer] Todd Howard, but I hate encumbrance." Yes, even though the game's exploration and loot discovery seem highly reminiscent of Bethesda's Elder Scrolls games and Fallout 3, Rage won't have any kind of inventory encumbrance system to slow you down. In addition to letting you quickly view all the items you're carrying, Rage's inventory menu chronicles all your outstanding "jobs" (in-game quests you've taken), a huge list of stats (which chronicle your weapon use, enemies killed, and many other figures), and any and all crafting recipes you've picked up, such as for bandages (which are created by combining rags with antiseptic), wingsticks, and more-advanced items like exploding remote-control cars, stationary turrets, and spider robots--pint-sized, autonomous, eight-legged robots with built-in miniguns that automatically chase down your enemies without having to receive any orders. This inventory menu also lets you scroll through your weapons, which, in Rage, include the basic settler's pistol, the combat shotgun, the semi-automatic assault rifle, the rocket launcher, the sniper rifle, a fully automatic machine gun you pick up from the mysterious antagonists known as the Authority, and the "striker" crossbow--though weapon selection isn't the end of the story, since most, if not all, weapons have at least two types of ammunition, and some have three or four. While you start off with only the basic settler's pistol, you can eventually pick up multiple ammo types that will let you really mess around with environments and with your enemies. The striker crossbow, for instance, uses a basic crossbow bolt that silently deals piercing damage to its target, but it can also be equipped with electro bolts that can electrify pools of water, turning them into deadly traps, and can also neutralize the glowing tower shields that some Authority troopers use to absorb incoming fire. Later, you can even find mind-control bolts that briefly give you control of an enemy and let you walk it in a certain direction, such as toward other enemies, before blowing it to bits with a concussive blast that damages other nearby foes. Can you survive the wasteland and the attacks by the mysterious Authority? You can use this inventory screen to manually equip different weapons and ammo types, but the console versions of the game will let you map four different weapons to a diamond-shaped, four-slot quick menu accessed by pressing your controller's right bumper (you can hold down the button and then use your right analog stick to choose a specific weapon, or repeatedly tap the bumper to swap to the next one). In addition, you can map up to four different usable items to a four-item quick menu by first assigning each one to the menu using the D pad and then tapping the left bumper to use your currently selected item. It took a bit of practice, but we eventually got the hang of things. Once we'd gotten our bearings, we ventured forth into this brave new world to pick up our first wingstick from the helpful members of the Hagar settlement--the residence of wasteland tinkerer Dan Hagar and his ragtag band of misfits. The early part of the game even has a simple shooting gallery minigame to acquaint you with using the wingstick (which again, when equipped, can be tossed with a quick tap of your controller's left bumper) but quickly scoots you out into the desert on your first mission with a word of advice--seek out as much valuable feltrite (the mysterious metal from the asteroid that nearly destroyed the earth) as possible. This was also when we received our first set of wheels, the all-terrain vehicle--a light four-wheeler that has no weapons but does have a peppy little engine. Thankfully, while you're exploring the wasteland, Rage has a minimap in the upper-right corner of the screen that points out the direction of your next objective. We decided to completely ignore the objective in favor of following Willits' lead to visit a nearby vendor who had staked out a spot above a sewer, beneath which bandits had been sighted. We didn't have a chance to go underground, but we did browse the old man's inventory for interesting stuff to buy or sell, and we found that he had several crafting recipes and some basic types of ammo. We didn't find anything worth buying, so we hopped into the wasteland for a bit to take in the sights. All of Rage's environments will be created using id Software's much-talked-about megatexture technology, which can adorn huge swaths of land (or highly detailed indoor environments). These textures are built with a process that id informally refers to as "stamping," though the nickname is pretty much shorthand for "texture art." Because the human eye can easily pick up on repetitive tilesets, id is hand-stamping all of Rage's environments with detailed megatextures that allow for rocky terrain with differing heights, rock clusters, smoking craters, and scrub vegetation. And with the exception of the vegetation, the majority of the environmental features get rendered in as part of the actual, single megatexture, rather than as a separate object or texture map, which lets the game use your console's or PC's processing and graphics power to render out a lot more in the way of interesting environmental geometry and effects, as well as to let you explore the wasteland without hitting a loading screen until you enter a settlement or mission instance. We poked around the desert canyons near the starting area and found a few of the game's secret jumps--which are indicated by floating blue beacons placed by the mysterious Authority faction--though our underpowered ATV didn't really have the chops to make any of them. Willits explained that id's world builders had already been sneaking challenging vehicle jumps into the game's environments, so the team decided it might as well formalize the deal by marking each one with a beacon and offering an in-game achievement (or trophy, for the PS3 version) to ambitious players who go after them all. Once we got into the bandit complex, things got much more interesting. There were plenty more bandits arranged in small groups, and the base itself consisted of small rooms with scattered cover that was much less reminiscent of Quake or Doom, and much more like close-quarters combat in modern shooters like Call of Duty, and even vaguely reminiscent of the claustrophobic gun battles of the latter-day Resident Evil games, namely Resident Evil 4 and Resident Evil 5. Many of the bandits were bonkers crazy and would pause just long enough to light their cudgels on fire before charging at us with them, which gave us the chance to whack them to death with a melee attack. However, several of the others did try to use cover and would also call for help the moment we revealed ourselves by blundering into view or by opening fire. Fortunately, the wingstick is considered a silent weapon, and once we realized we could obscure ourselves by crouching under some cover of our own to get a clear shot, we stealthily decapitated a few of the raiders before picking off the rest of them with gunfire. Interestingly, while fighting our way through the base, we not only looted the bodies of our fallen foes for extra ammo, but also picked up piles and piles of other stuff--plenty of salable junk, like empty beer bottles and stale food supplies, and actual useful items like bullets and crafting ingredients, including just enough in the way of transistors and gears to build a lock grinder item--the game's version of a one-use lockpick. Lock grinders don't require any kind of Fallout 3-like minigame--just equip one as your quick item and use it on the nearest locked door, like we did, and the grinder will automatically open it up. In this case, our tinkering was rewarded with a bandit cache of extra ammo, grenades, and bandages. Willits pointed out that while looting this little ammo dump, like many of the game's hidden treasure troves, isn't required to complete the game, there will be many other secret rooms for enterprising players who take the extra time to explore. Among all the trash and treasure, we also picked up an extra card to add to our playing deck. Yes, Rage will have an in-game collectible-card minigame, not unlike the pazaak minigame in the Knights of the Old Republic series, or the triple triad games from Final Fantasy. Each card in your deck will have a major character or enemy type listed on it and can be added to or subtracted from your play deck. You'll be able to whip out your deck at various saloons throughout the game to play with certain gambler characters to earn cash. Willits explained that some players may want to step up to the card table to win money the easy way since higher-end vehicle upgrades can get very expensive--but the game itself, while including some strategic elements reminiscent of Magic: The Gathering, will primarily be a fun little distraction, rather than an amazingly deep experience. Like exploration? Try to find all of Rage's hidden vehicle jumps. After cutting down the last of the bandits, we collected the supplies and skipped ahead to our delivery destination--the town of Wellspring, one of the game's two major settlements (the other being Subway Town, which appears much later in the game). Once you enter the town, you can freely explore the area, casually sauntering through any unlocked door to enter any unsecured building without hitting a single loading screen. It was here that we met with the game's two primary quest givers--the sheriff and the mayor. Depending on whose side you take, you may end up picking different missions in different order, and from the sound of things, the mayor's a bit more demanding and will send you into rougher territory sooner. Wellspring is also, as we've mentioned in our previous coverage, the first place that will give you access to a vehicle garage that stores all your vehicles and is also the first place that offers sanctioned vehicle racing, where the prizes are vehicle certifications that can be traded in for various upgrades. As you run various errands in Wellspring for different contacts you'll come to work with regularly, you'll also make an important, onetime decision about what type of "suit" your character will wear--the roughneck suit, which provides an armor bonus; the wastelander suit, which provides a 5 percent discount when purchasing items from vendors; or the fabricator suit, which provides a crafting bonus. Of course, the reason you need to slip into something a little more comfortable--permanently--is because your character starts the game wearing an "Ark suit," a garment that identifies you as the survivor of an underground "Ark" structure that was specifically built to house test subjects like you. And the Authority, the mysterious antagonists of the wastelands, wants you and every other Ark survivor like you, not just because of your spiffy Ark suit, or because of the defibrillator built directly into your heart--but because your character's bloodstream is full of microscopic nanotechnology that holds the key to dominating the world. Bandits are just the beginning of your problems. After exploring Wellspring for a bit, we skipped ahead to a later part of the game to meet another key character, Dr. Kvasir. The good doctor is actually in cahoots with Elizabeth Cadence--these two were apparently the architects of the research that went horribly wrong and resulted in the spread of mutants throughout the wasteland. (Though Kvasir appears only as a kooky old man in the actual game, the story behind these characters' research will apparently be explored in a three-issue comic book series published by Dark Horse.) In this later part of the game, the elderly doctor, wearing a biohazard suit fitted to a crane that carries him to and fro above his laboratory's gigantic reactor, examines a feltrite sample your character recovers and then gives you a once-over as well. The scientist pronounces that your character's built-in defibrillator is simply too weak to handle the harsh life of the wasteland and will need to be upgraded with parts from the major hospital where he and Cadence used to work. The location of that hospital: Dead City. Dead City is an appropriately creepy, ruined metropolitan area shrouded in thick fog and silence. We entered the area knowing we'd most likely encounter the enormous, six-story mutant we'd seen in previous demonstrations, but fortunately, since we skipped ahead to a more-advanced savegame, we also had an inventory full of weapons. As we made our way down the ramp of rubble that leads into the city, we were beset by smaller mutants wearing rags and wielding knobby clubs. These critters were fast and difficult to draw a bead on, but weren't anything we couldn't handle. At least, not until we got to the floor of the city, where we were ambushed by a 10-foot-tall mutant that was carrying a heavy minigun in its right hand and had a slimy, harpoon-like tentacle for its left hand. This massive beast alternately pelted us with rapid fire, slapped us in the face with its whiplike tentacle (leaving a huge, opaque smudge of slime on the screen that prevented us from seeing what was going on), and came charging right at us to knock us flat on our backs. Suddenly, the swarms of annoying, club-wielding mutants became much more of an issue, since they mobbed us mercilessly while we were backpedaling for our lives away from our larger foe. We eventually ended up pulling out our character's rocket launcher and emptying it out to bring the beast down--by the time it keeled over, we had barely survived the battle ourselves. We then made our way into the heart of the city, whose ruined courtyards recalled the later minigun battles of Resident Evil 4, and whose shattered escalator lobbies recalled the abandoned subways of Fallout 3. The further we got into the area, the more infested it became--the door to the very bottom of the city was overgrown with a pulsating, fleshy growth and was guarded by a crazed mutant with glowing green skin. As if that hadn't been a clear enough hint that things were about to get much worse, just after we made our way through the doorway, we encountered the enormous six-story-tall gigamutant just around a corner--and that's where the Dead City demo ended. We then skipped ahead to the Authority Prison, a high-tech dungeon in which our mission was to rescue an officer in the resistance movement that actively opposed the Authority, one Captain Marshall. We started the mission at the prison's entrance, which was guarded by a few scattered Authority troopers, whose heavy armor and even heavier electronic tower shields were alarmingly resistant to basic small-arms fire. Up until you finally encounter them (and it won't be for a while), you simply won't have seen any enemies like them. Unlike the wasteland's ragged bandits and primitive mutants, the Authority is equipped with extremely high-end equipment, including the Authority machine gun, a fully automatic rifle whose blistering rate of fire and surprisingly solid accuracy make it one of the best bread-and-butter weapons in the game. While we had a machine gun of our own (and many other weapons and items in our inventory), these soldiers were extremely tough customers and cut us down more than a few times. We should point out that in Rage, your character automatically regenerates lost health when not taking fire--just like in many modern shooters--which means that you won't really need bandages in your inventory unless you're on death's door and still being shot at. And even then, death in Rage isn't the end of the line--instead, it prompts a controller-based minigame that requires you to twist your analog sticks in certain predetermined directions (following the onscreen prompts) to kickstart that defibrillator in your chest. The more quickly you respond, the more stick prompts you get, and the more correct stick prompts you enter, the more health you'll recover after your heart starts pumping again and brings you back to the land of the living. After we died a few times (we'll blame our deaths on a bad case of jet lag, thank you very much), Willits graciously took over the controller to show another way to play the game. The creative director made his way down through the prison to finally find Marshall, who joined us temporarily as a non-controllable companion after we freed him from his cell. Unfortunately, as soon as the officer was released, more Authority soldiers flooded the cell block. But instead of repeatedly running, gunning, and falling over full of lead, as we had, Willits opted to take cover behind a small pile of rubble and start using a whole bunch of Rage's deployable items. Setting up a turret in the center of the corridor helped provide initial cover fire that forced the Authority troops to stop charging and find shelter themselves. Sooner or later, you'll run into the Authority. And they don't mess around. With the enemy pinned down, Willits was able to either toss electromagnetic pulse grenades (which neutralize Authority shields) or send out a few of the game's exploding RC cars, which switch your view to a third-person perspective that follows the tiny vehicle. In addition to being useful for navigating small nooks and crannies, these little bombs on wheels can also be detonated manually, so the designer wasn't bashful about tossing one out, ramming it right into the ankles of an Authority soldier, and immediately setting the device to blow up (and take out its target in the process). Once the designer had the enemy down to two stragglers, he was able to get fancy by using the crossbow's alternate ammunition to rewire the brain of one of his foes to turn around and shuffle, zombielike, towards the other Authority grunt, and then detonate the mind-controlled soldier like a walking bomb, cutting down both enemies immediately. While it's easy to find Rage's expansive and seamless environments impressive, what's really impressive is the game's variety. There will be a whole lot more stuff to do in this game than in any other id Software game to date, including racing, exploration, crafting, and quests. Even the game's combat has a different look and feel. We saw exactly zero of the old narrow-corridor shoot-outs of Doom III and Quake IV. They seem to have been replaced by indoor and outdoor battles that offer full or partial cover against smart enemies that back each other up and take refuge when you open fire--and even though you'll have backup from time to time, the game's numerous deployable items will give you tons of options in battle that will let you be your own army of one. Driving, shooting, questing, crafting, exploration--Rage clearly has a lot to offer. And it'll finally launch later this year. This here spider bot has a mounted cannon and will stick to your enemies until it's deador until they're dead. Joining the likes of "Soul King" and the imaginatively titled "F***ing Run!" in FEAR 3's array of multiplayer modes is "Soul Survivor," a twist on the last man standing scenario. Players will face an ally turned evil and, if killed, become spectres themselves, tasked with eliminating the living. 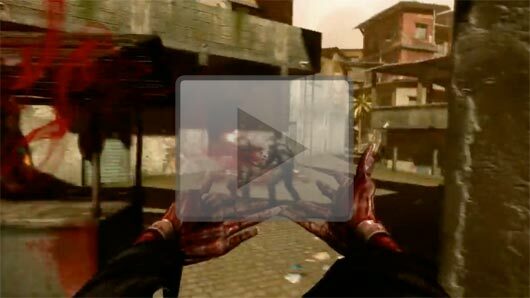 FEAR 3 trailer has a lot of soul, survival originally appeared on Joystiq on Tue, 31 May 2011 18:00:00 EST. Please see our terms for use of feeds. 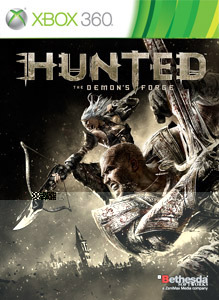 Hunted: The Demon’s Forge is a fresh take on the classic fantasy game that delivers the intensity and action of a modern-day cooperative shooter. With environments that span from enchanted forests to sprawling cities and deep into long forgotten dungeons, players will join together to face the great evil that threatens the land. Since the Red Faction: Armageddon demo was downloaded over a million times, Mr. Toots, the rainbow-farting unicorn originally dangled in front of us as a prize by Volition, will be in the final game. He'll be rewarded to players after they complete the single-player campaign. It's all well and good -- we certainly enjoy magical unicorns who can fire bursts of deadly color from their orifices, of course -- but we were kinda hoping for a return of the ostrich hammer. Hit the jump for the latest Mr. Toots trailer. Red Faction: Armageddon demo downloaded a million times, Mr. Toots unlocked originally appeared on Joystiq on Tue, 31 May 2011 17:00:00 EST. Please see our terms for use of feeds. Two of Black Rock Studios' biggest players have decided to form their own thing: RoundCube Entertainment. Nick Baynes, game director on Split/Second, will head up the new outfit, while Ian Monaghan, previously senior producer at Black Rock, will now act as development director. Both were affected by the latest round of layoffs from parent company, Disney. According to GI.biz, about 30 currently remain at Black Rock, toiling away on a project for Disney. As for RoundCube, they haven't announced what they're going to do next, but if you ask us it should have something to do with tiny increments of time. 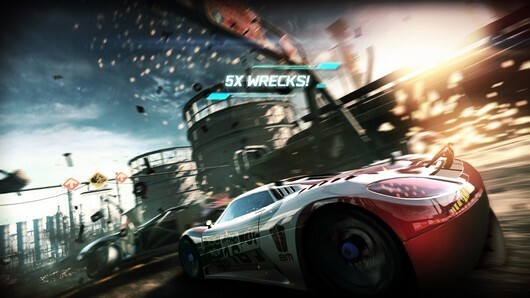 Split/Second game director, producer form RoundCube Entertainment originally appeared on Joystiq on Tue, 31 May 2011 16:30:00 EST. Please see our terms for use of feeds. Netherrealm Studios assumes that if you like Mortal Kombat, you probably don't mind the sight of blood. But how much do you like it? And how much do you like the wet, squishy sounds of splattering blood? Watch this trailer for the DLC fighter Skarlet and find out. Mortal Kombat's 'Skarlet' DLC tests your tolerance for blood originally appeared on Joystiq on Tue, 31 May 2011 16:00:00 EST. Please see our terms for use of feeds.